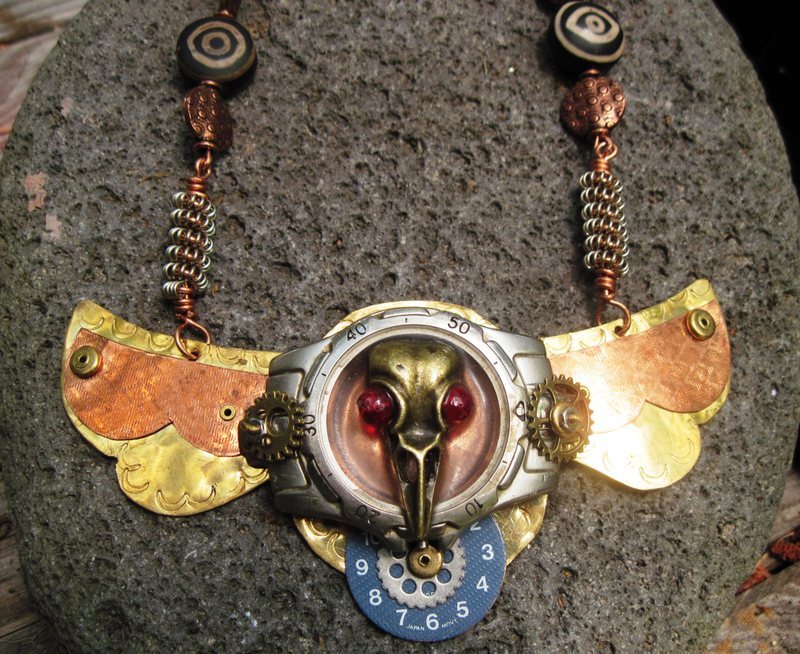 Brass bird head skeleton with red bead eyes has been connected with resin to a man's watch. 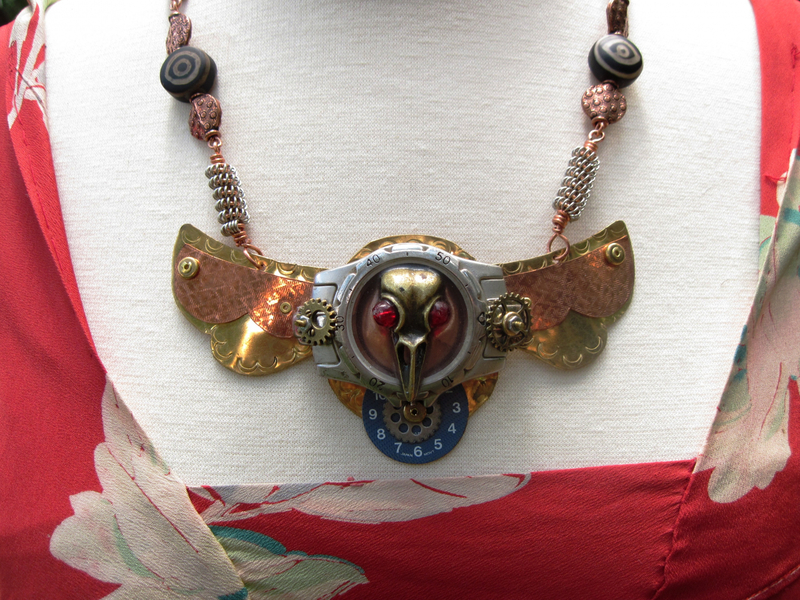 This has been cold connected to brass wings adorned with copper. An old watch face and three gears also adorn the breastplate. 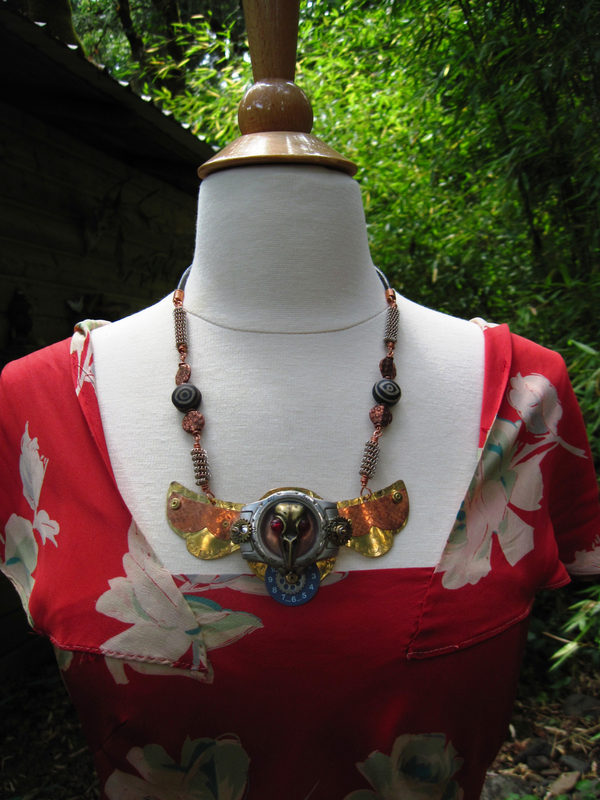 The breastplate hangs from a beaded "chain" consisting of two hand spun German silver with copper elements plus copper and ceramic beads. There is also a section of 4mm leather finished with lobster clasp and extension chain. The breastplate has a 5 inch wing span. The watch element is about 2 and a half inches wide. Length of beaded section is about 6 inches. 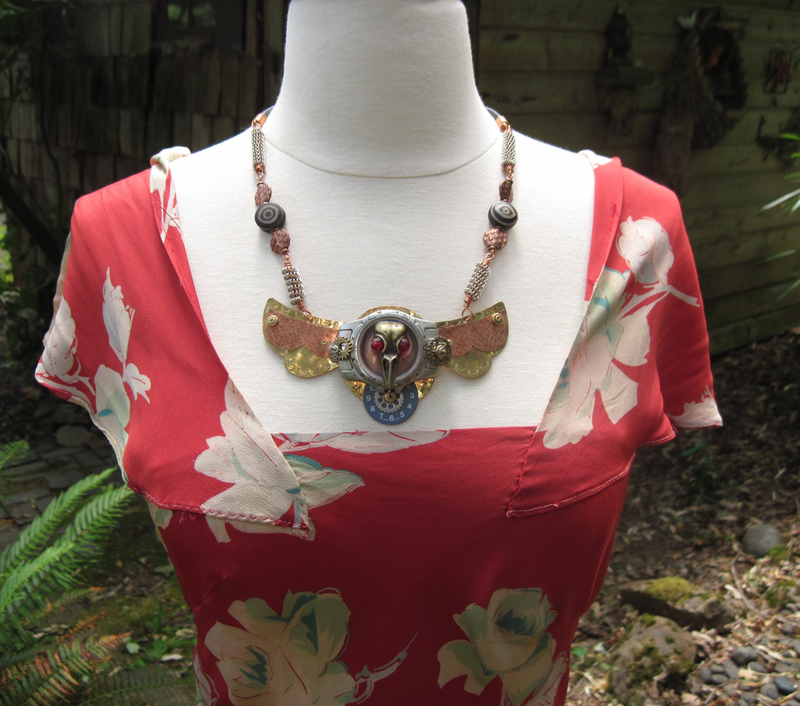 As pictured the breastplate is 22 inches with a two and a half inch extension chain. The leather section is currently 3 inches but this can be made shorter or longer at your request.